Seems like I should give away something nice. How about this. It is open to everyone. The winner will be announced on the blog Monday. Congratulations on your 8th Anniversary of blogging. I love your blog and try to check it daily. You rock! so creative and inspiring. Also like all the helpful tutorials. Recently read about different ways to mount a quilted piece for display--very helpful. 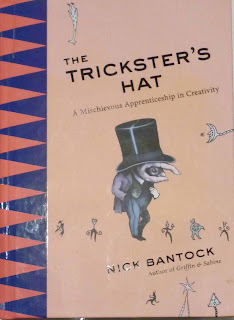 I love Nick Bantock's book, I didn't even know this one existed, sounds intriguing. The winner never contacted me so I did another drawing on random.org and you won. If you contact me using the contact form on the bottom of this page you can leave you postal address and email. Looking forward to hearing from you. Congratulations for keeping your blog alive and fresh for 8 years!! Sounds like a fun book, count me in. 8 years is inspirational. I’m a reader, not a blogger myself. 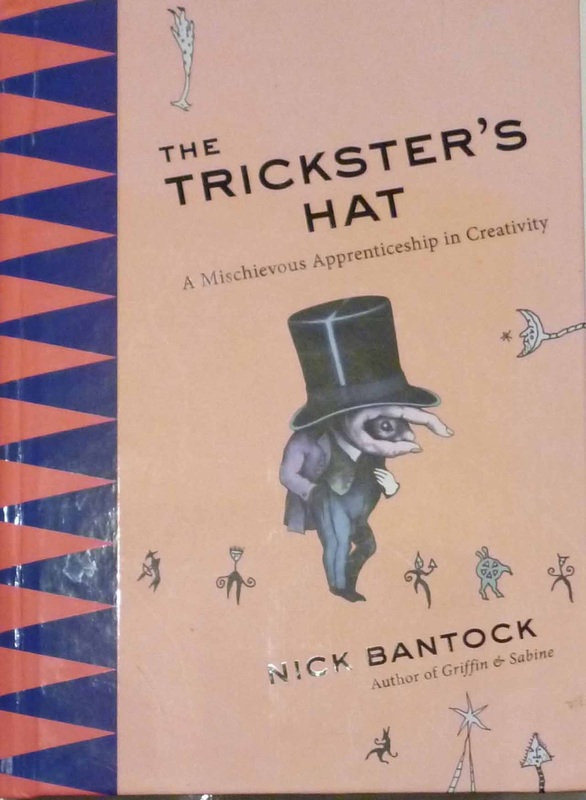 The tricksters hat sounds like a wonderful find! You won the giveaway. Scroll to the bottom of my blog and use the contact form to send me your address and email so I can send you the book. Wow that's awesome that you have kept your wonderful blog up and going, plus so much fun and information. I have been inspired by you and all the things you have shared with us thru the years!! Thank you for being so kind to us all with your talents! ! Congratulations and many more to come! I would love to be led hither and thither! Eight years of inspiration and creativity! Wonderful stuff, Beth! This book looks cool - I'm up for getting lost (again). I think I read it but wouldn't mind reading it again. Congratulations on the longevity of your blog. You are still going strong!